Honda Pump WX10 with easy-starting, mini four-stroke Honda engine is designed with homeowners, boat owners, and gardeners in mind. 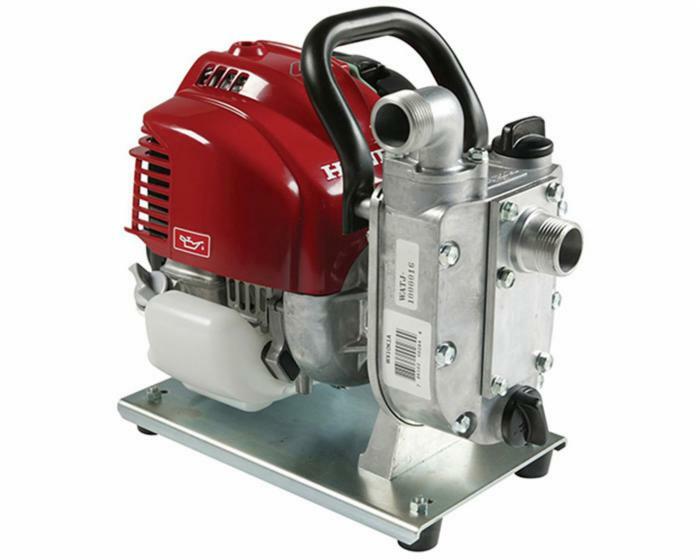 Great for irrigation, flood control, light construction, and pool draining, this lightweight model delivers excellent de-watering performance without the extra bulk. A transport handle also allows for easy portability, while a garden hose adapter, suction hose, clamps, and strainer are included for additional convenience.